Facebook, the worlds largest social media site, is at it again. There has been numerous news stories in the last week on how Facebook is once again changing their Terms of Service (TOS) for it’s users. What does it mean for photographers and anyone who uploads photos to Facebook? Talk about taking away all of your rights! 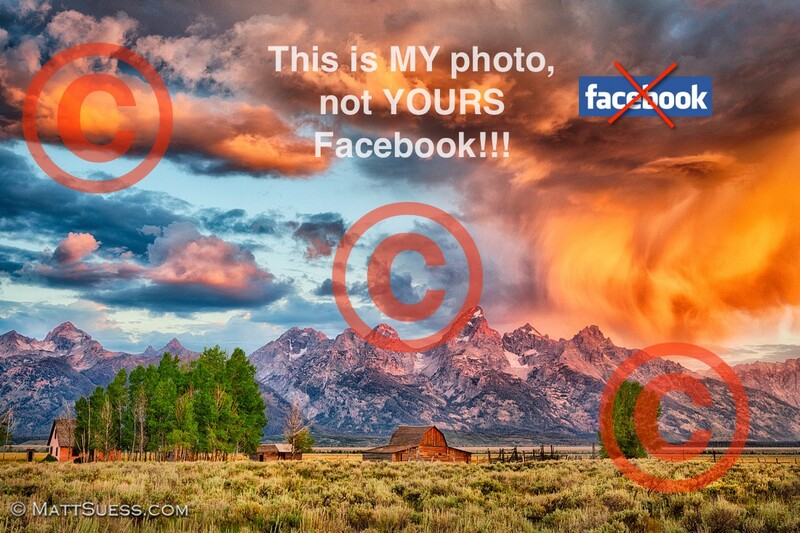 Perhaps if one puts enough watermarks on a photo Facebook just won’t even be interested in it.